Do you love spinach dip? So do I! Do you love bacon. Me too! 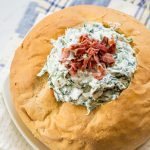 I bet you will love this Bacon Spinach Dip recipe as much as I do. I love spinach dip. It is one of my favorite thing to have at a family get together or party. 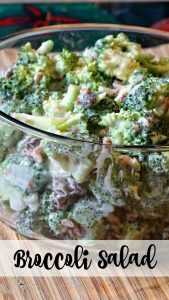 It has become my most requested pot luck recipe. When I bring my spinach dip to a get together, everyone devours it. It is always gone first. 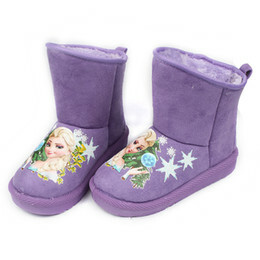 It is a crowd favorite. 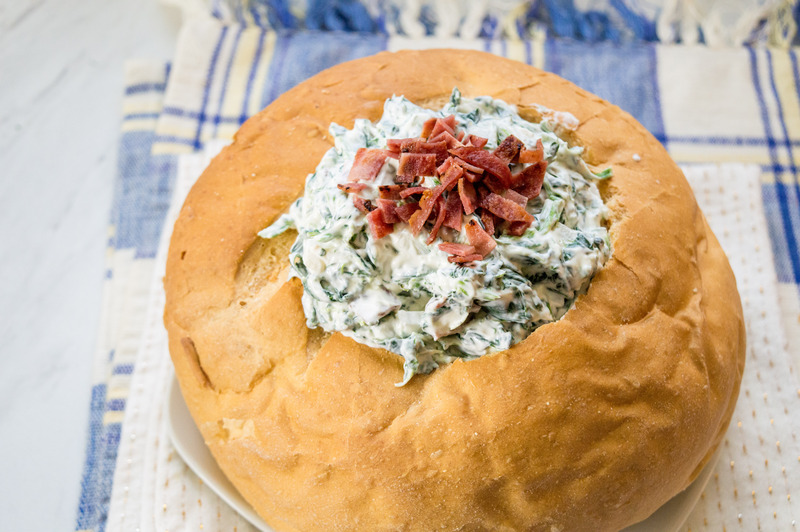 Personally when I make my spinach dip, I like to serve it in a bread bowl. Because I like to serve bread cubes with my spinach, I use the inside of the bread bowl as the bread to dip in. I also tend to buy a long loaf of french bread to dip too. Some people like to use crackers. 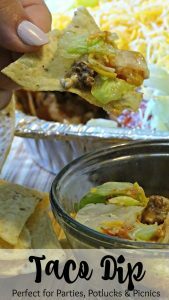 What is great about this spinach dip, besides how easy it is to make, is just about anything can be used for dipping: bread, crackers, veggies, chips, you name it. 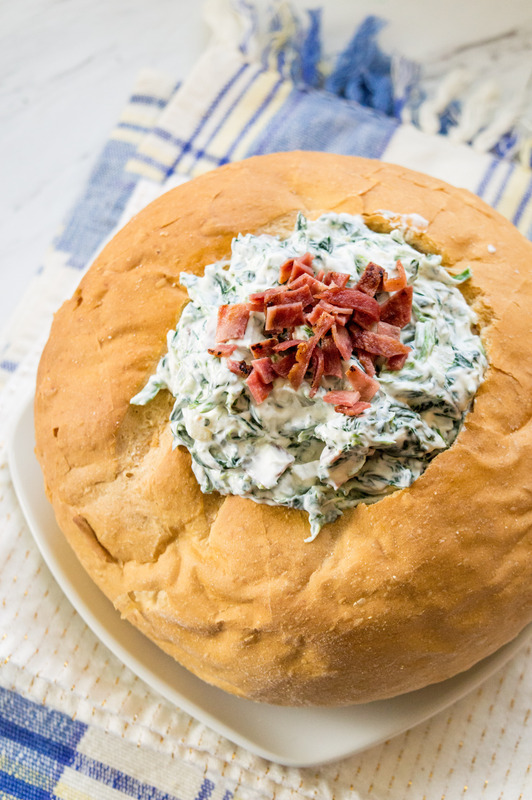 So if you are looking for a pot luck dip recipe to take to a party or get together, everyone will love when you show up with this spinach dip in a bread bowl. I have seen a cheesy bacon spinach dip that is baked in a preheated oven that also has cream cheese as an ingredient. That dip is served hot. While it is delicious, it a different type of spinach dip. I do not put the dip in the bread bowl until we are ready to serve it. I keep it in a storage container. I love these containers. I have a set and it works perfectly. If you are storing the spinach dip after the party, put it back in the storage containers. Rip up the bread bowl and use it to it the dip. Want to make this lower in fat? 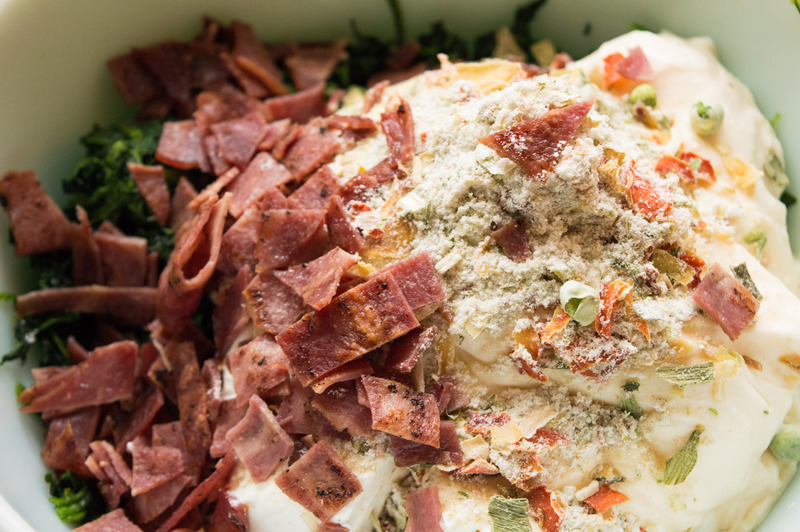 Turkey bacon has less fat than traditional bacon, and is ideal for this dip. Don’t like water chestnuts? Leave them out. I personally an not a fan and I pick around them. Drain out excess water from defrosted spinach before adding spinach into a large bowl. To the same bowl add mayonnaise, sour cream, vegetable dip, water chestnuts, and bacon. Mix ingredients together well, being sure that everything is combined. Cover and refrigerate dip for 2-3 hours before serving. If deciding to add spinach into bread, take a large loaf of sourdough bread and hollow out the center. Be sure to clear at least one or two cups of bread from the inside, while assuring there’s enough bread to create a wall. Add spinach dip into the hollow and garnish with additional bacon, before serving. Some people like to bake the bread cubes on a baking sheet to give them a sturdier texture and a deeper flavor. Brush the bread cubes with a little bit of olive oil. 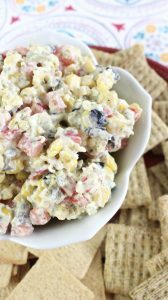 Looking for more recipes that are perfect for a picnic or pot luck? If deciding to add spinach into bread, take a large loaf of sourdough bread and hollow out the center. Be sure to clear at least one or two cups of bread from the inside, while assuring there's enough bread to create a wall. Add spinach dip into the hollow and garnish with additional bacon, before serving.